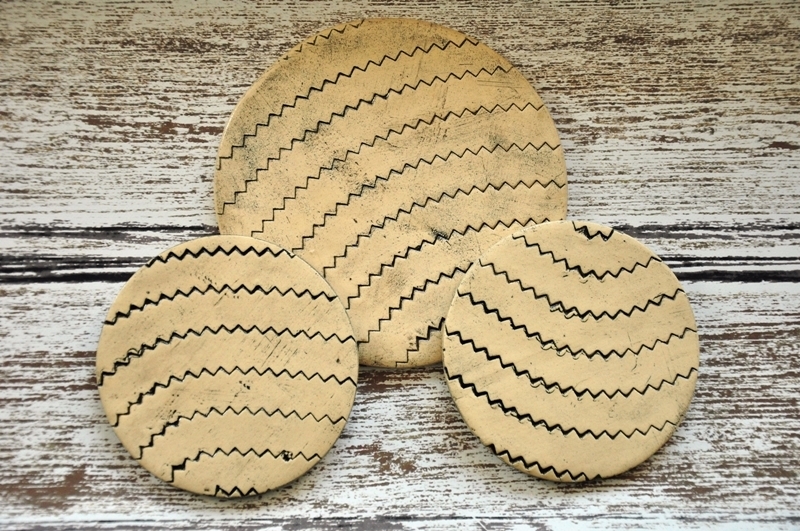 Coasters measure 3.25″ (8.25 cm) across. Trivet measures 4.75″ (12.06 cm) across. Vintage lace was pressed into the wet clay. 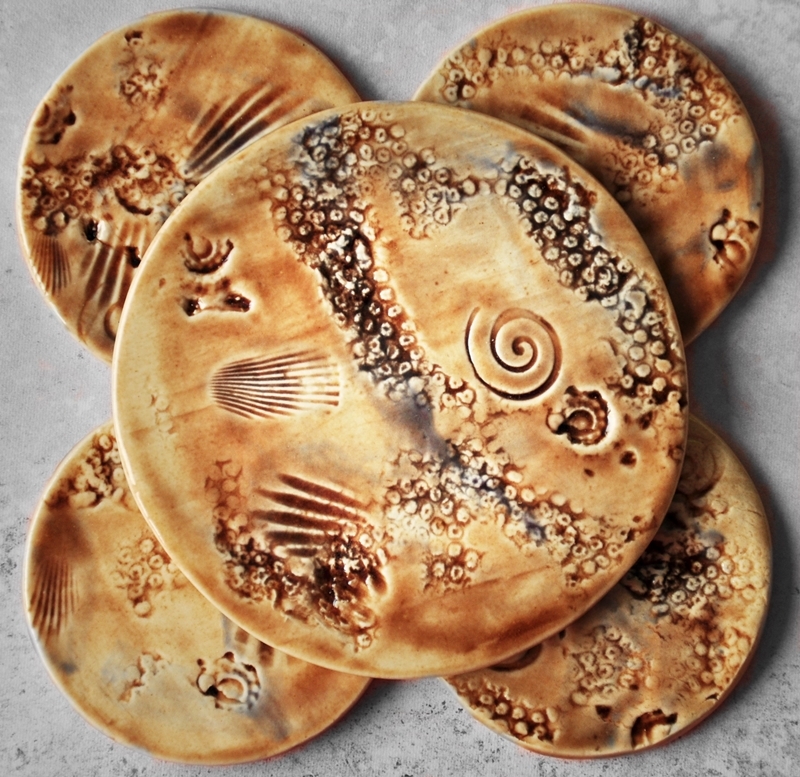 After firing in the kiln, glazes were applied, followed by a second firing at a higher temperature. White stoneware impressed with real oak leaves which came all the way from a forest in British Columbia. After firing, an oxide wash was applied, followed by a clear coat of glaze and a second round of firing in the kiln. Durable materials. Dishwasher safe, but hand washing is recommended. 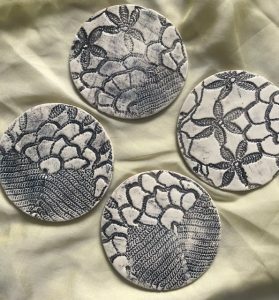 This listing is for 4 coasters and 1 trivet as shown in photo. 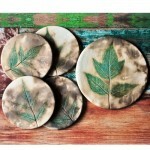 Created for anyone who has ever wanted their guests to actually use the coasters provided. 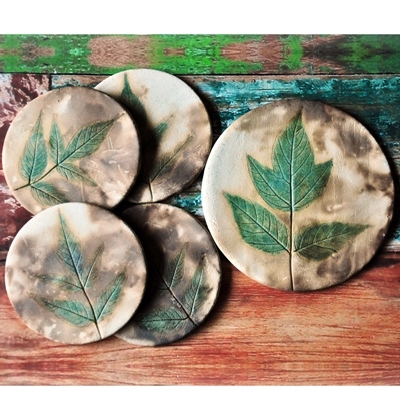 Let the coaster do the talking for you, so you can remain charming! Shown in ultra marine blue and dark leaf green, but request alternate colour. 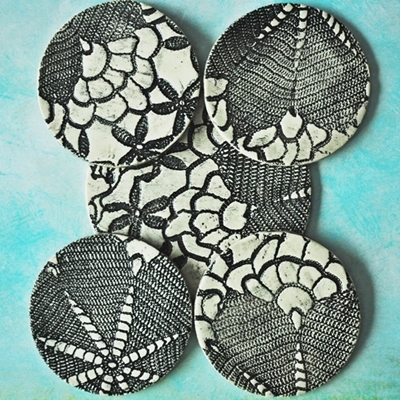 4 coasters and 1 trivet, hand made from white stoneware clay, with a collage of sea shells as texture. Colored with non-toxic golden brown glossy glaze with hints of plum. Sold out but please request. Various colour options. 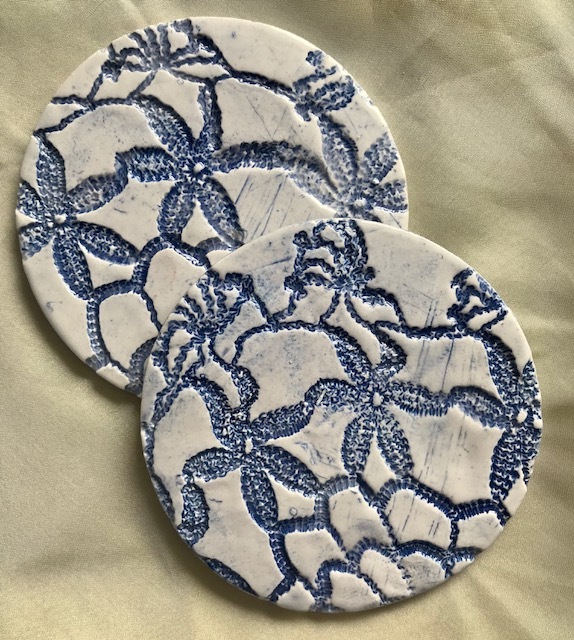 Blue and off white glazed stoneware coaster and trivet set with sea shore theme. Sea shells, star fishes and sea horses adorn each piece. Every one is a work of art in itself! Colored with black stain and clear glaze over top. Durable and dishwasher safe, but hand washing is recommended. 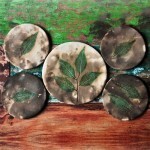 This listing is for 2 coasters and 1 trivet. If you need more, please request. Colors may be customized to suit your taste. 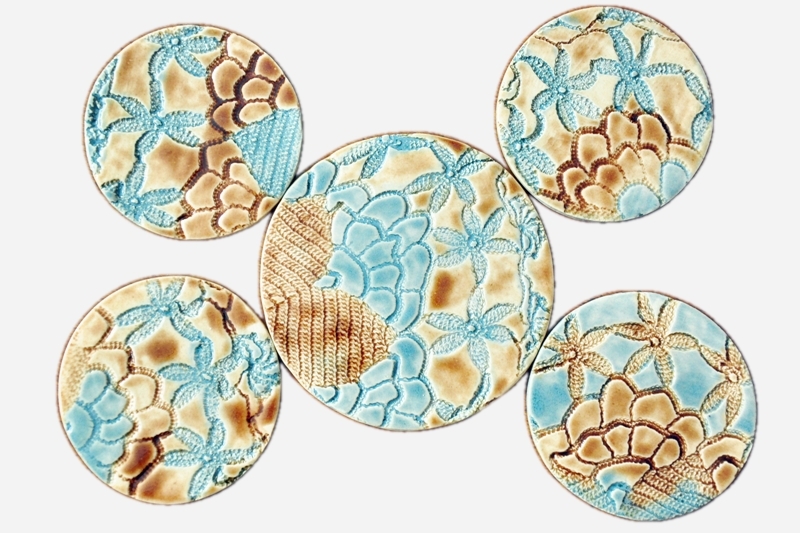 Coasters measure 3.5″ (8.9 cm) across. 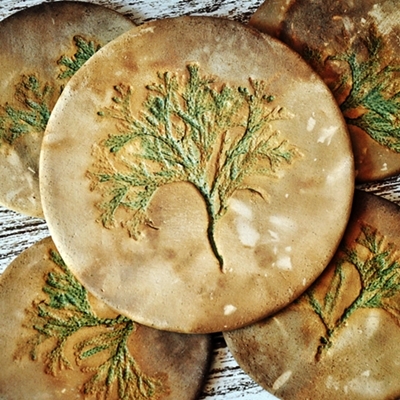 Trivet measures 5″ (12.7 cm) across.